We want to thank all our friends and family for taking the time to celebrate the day we embark on our new life together. And while you are in Austin, we hope you can have a new adventure yourself! We've put together a few lists of some of our favorite things to do, places to eat, hot spots to drink and hear some good music. Our favorite outdoor experiences and indoor AC havens. Let us know if you have any questions, we love talking about Austin. One small qualification is both Jason and I left Austin in the end of 2013, so much has changed in the small "town" we left that has now almost doubled in rent prices and high rises. We picked our favorite haunts from five years ago when we were both a little bit broke and a little bit hipster. Austin has a funky, music-infused, laid-back culture, very different from the rest of Texas. If you have time, check out some of the funky events going on around town, from comedy, to music, to theater and some weird stuff in-between. Best to book your tickets ahead of time! Here are some events going on over Labor Day weekend if you want to see something fun. The festival is an event for women-identifying and non binary artists, producers, entertainers, cultural organizers, and audience members in a collaborative effort for gender equality. Austin is an amazing place for outdoor adventures, but often it's just too damn hot. With lots of cafes and shops, you can always find some small oasis of AC, but your best bet for a sweat-free afternoon is too bring your activities inside. You'll notice our recommendations are very art-heavy, which can't be helped. Visit Whole Food's headquarters at there mothership location on N. Lamar. This location is like Austin's piazza, you'll see outdoor yoga, youngters on dates, and senators now and again. A change meeting at Whole Foods was one of the main reasons Jason and Megan got back together. Jason was eating sushi and Megan was eating a salad with chop sticks. We had a seamless conversation but didn't make any plans to see each other again. A few weeks later Jason reached out again. Everything's bigger in Texas, including the capitol building. It's the largest in gross square footage of all state capitols and is the second biggest after the U.S. capitol in Washington, D.C.
Jason and I worked here for the Spring session of 2011 and got to see some of the most startling women's rights issues (this was the session before Wendy Davis's famous thirteen-hour-long filibuster). Our short stint helped both of us determine politics wasn't the route for us. 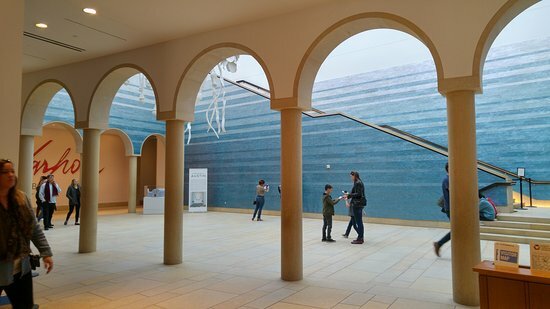 Blanton is our favorite art museum in Austin, with a beautiful blue stairs entrance. With the right light you feel like you are walking through water. Imfamously, the original architexts for the art museum were the reknowned Herzog & de Meuron firm, however due to creative differences, they resigned and the building is what you see today by another architect. Funky little art gallery off South Congress main drag, also owned by one cool former colleague of the bride. Never been here but it looks super cool and interactive for kiddos in town. It's all in the name. It looks like it's only on Sundays so you'll miss this one-of-a-kind opportunities. Maybe next time you are in ATX! Like the name, contemporary art in Austin with locations down town and out by the lake. Traditional and contemporary Mexican and Latino art. We weren't able to visit when we lived here so hoping this time round. The George Washington Carver Museum, Cultural and Genealogy Center is dedicated to the collection, preservation, research, interpretation, and exhibition of historical and cultural material reflecting all dimensions of experiences of persons of African decent living in Austin, Travis County, Texas, and the United States. The museum is also a key source of information on the history and celebration of Juneteenth. Preserved Victorian cottage where short story writer "O. Henry" resided with his wife and daughter. Visit the original Alamo Drafthouse located in downtown Austin, and kick up our heals while you watch a great movie with food and drink (including beers) brought to you when you put up a card. This movie theater is infamous for kicking people out for bad movie-going etiquette, so no talking, please! Great place to catch an IMAX in Austin or learner about the history of Texas, with several special exhibitions as well. Austin is definitely a city for nature lovers! If you've never been, you'll be surprised by how much greenery and water surround this small city. If you can only do one thing definitely visit Barton Springs, which has 68 degree natural spring water all year round. If you can stand the 100 degree heat you'll have an endless list of things to do in Austin! Head to the Greenbelt AKA Barton Creek Greenbelt for over 12 miles of hiking on beautiful paths with watering holes and birds galore. Great for children and bikers. Several access points including a favorite by Taco Deli, link to overview of trail access points here. Did we mention it's hot in Texas? Well jump in Barton Springs Pool will be your salvation. This natural waterway is three acres in size, and is fed from underground springs with an average temperature of 68-70F degrees year round. Free from 5am - 8am. Robert Redford learned to swim at the pool when he was five years old. This was a favorite of Megan's who lived a five minutes walk away, up a hidden trail. Swim in an actual aqua-marine watering hole just south of Austin in a sleepy town called Wimberly. You can bring you blanked and a raft if you like, as well as some cold beers to sip on by this cold stream fed watering hole. You'll feel like you're in an old-time generation. But don't expect to layout in the sun, there's so many trees here! You'll need to make a reservation for each car that wants to visit this picturesque watering hole outside of Austin. Expect a little hike from the parking lot. Sometimes you cannot swim due to bacteria. Worth the visit just to see the scenery. Floating the river on a black inner tube with a tallboy in hand is a time-honored Texas tradition. There are several rivers to float on outside of Austin and you'll have to book ahead. We also recommend you get a driver. We recommend you do not float the river on Sunday, the day of the wedding, as folks have a tendency to get dehydrated and sleep the night away with strange sunburns. KA Ann & Roy Butler Hike and Bike Trail, Town Lake Trail, Lady Bird Lake Trail. 10-mile urban trail around Lady Bird Lake and a picturesque path to get from north to south Austin. You can find many sporting activities, including paddle boarding, kayaking, and canoeing at various points around the lake. One of Megan and Jason's favorite workout routines. Get your golf fix with this nine-hole par three on South Lamar. You can bring a cooler and play as the sun goes down to avoid the heat. Wander around the large campus on your own or take the general public two-mile walking tour to learn more about the strange mishmash of building on this famous campus. See Charle's Umlauf's work surrounded by the natural green beauty of Austin. Directly across from Barton Springs and around the corner from delicious JuiceLand. A small hike will take you to a beautiful overlook of the expansive Texas scenery and the lakes below. Usually crowded with teenagers if I recall. 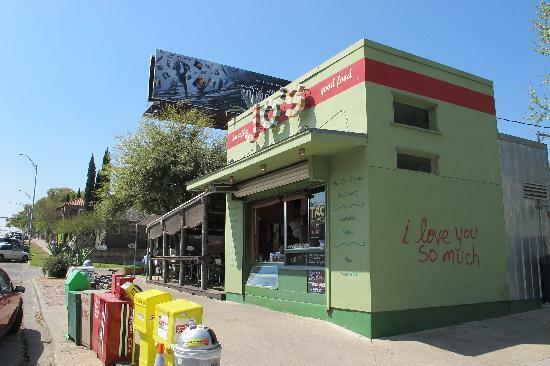 The most famous mural in Austin is a simple hand drawn love to humanity, "I Love you so much." Then grab a drink at Jo's Coffee! It's important to stay hydrated in the heat of Austin and to stay caffeinated for late night dancing. You can't go wrong with any local coffee roaster, but here are some of the ones Megan frequented most! Megan and Michelle had some delicious coffee here. There are multiple locations located exactly where you need a little jolt in your day. We have lots of fond visits to Cafe Medici when we were working on our dreams, favorite location is the West Lynn location, a small slice of the neighborhood that surounds it. Also a bikeshop for riders out there. Good downtown coffee shop. Megan's first time to Austin, Casey and Megan went to Hula Hut down the street from this cute coffee shop with lake view. Megan later had an interview sipping coffee here.